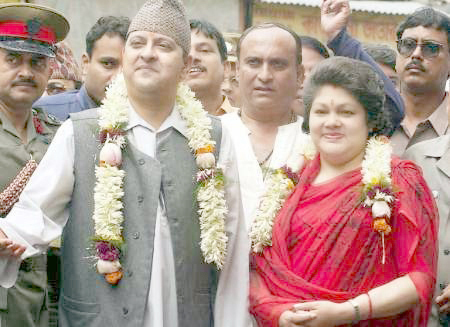 Former King Gyanendra granted a group audience to around 200 locals at Prabhu Bas in Simara on 3 February. On the occasion, the former King had listened to the local people and acquired information about the situation. On Monday afternoon the former King visited Kalaiya, where thousands of local people welcomed him.